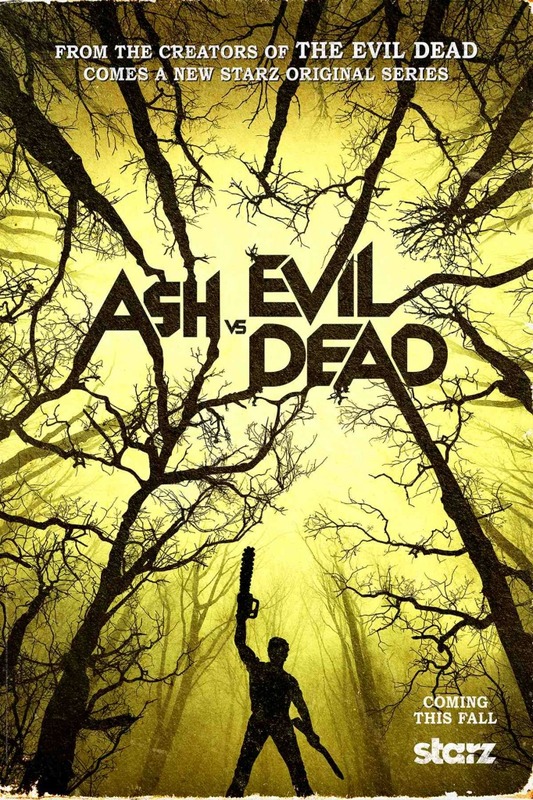 Home Movies “Ash Vs Evil Dead” teaser and poster promote Bruce Campbell’s “Groovy” comeback! “Ash Vs Evil Dead” teaser and poster promote Bruce Campbell’s “Groovy” comeback! 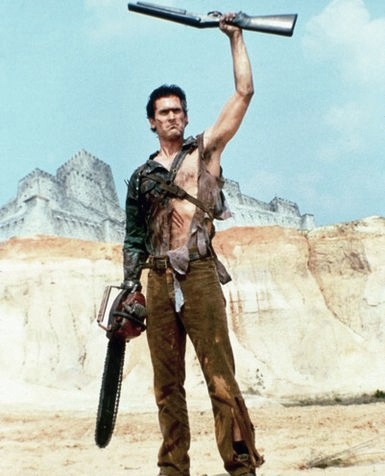 “Groovy” man… Guess who’s making a comeback to his signature role as Ash Williams for a continuation of Sam Raimi’s cult classic “Evil Dead” film series! That’s right… Bruce Campbell is making a grand return to the role that gave his fame and cult status as the man with a chainsaw hand and boomstick, when he returns to knock down some Deadite demons, zombies, and monsters in the brand new “Ash Vs Evil Dead” TV Series airing this fall on Starz. In the show, Ash traverses America to stop a Deadite plague years after his last adventure. Lucy Lawless is also set to co-star as Ruby, a girl who believes Ash is the cause of the deadite outbreak. While there’s yet to be any footage from the series, a teaser was released to announce that the show is indeed coming This fALL. Ash Vs Evil Dead will consist of 10 episodes for the first season.